Mr. Mardikian is a graduate of Trinity College (B.A.) and Harvard Business School (M.B.A.). He is the owner of Haig G. Mardikian Enterprises (real estate investments), general partner of M&B Development (real estate investments), president/director of Adiuvana-Invest, Inc. (real estate investments), and chair/director of Forward Funds Inc. (mutual fund company). He served for many years as a trustee of Trinity College in Hartford, Conn., and is a trustee of the Herbert Hoover Foundation, the Herbert Hoover Presidential Library Association, the William Saroyan Foundation, The Foundation of City College of San Francisco, and the International House of the University of California at Berkeley. His father worked as a Scout Leader in the orphanages set up by Near East Relief. Mr. Garrett is a great-grandson of Cleveland H. Dodge, who co-founded the Near East Foundation in 1915 and established a philanthropic foundation in 1917. He has worked as a digital media executive for 15 years, previously working at AOL, Viacom, Excite@Home, Ask Jeeves and most recently, IAC/InterActiveCorp. Mr. Garrett was a term member of the Council on Foreign Relations and a founding member of Network 20/20, a New York–based foreign policy group. He graduated with a B.A. from Princeton University and an M.B.A. from Columbia University. Mr. Bird retired from Morgan Stanley in July 2017 as Senior Vice President and Financial Advisor after 14 years first at Merrill Lynch and later Morgan Stanley. Prior to joining Merrill Lynch, he had a 25-year career in international insurance managing diverse and multicultural teams providing risk management services as well as Property and Casualty insurance to multinational companies in 140 countries. He held Senior Management positions with AFIA, Cigna, AIG, Zurich and Royal & SunAlliance Global Risks, as President and CEO, North America. He graduated with a B.A. from Adelphi University and an M.A. from the American University of Beirut. He also completed an advanced management program at the Northwestern University-Kellogg School of Management and the Strategic Leader Program at the Center for Creative Leadership in Colorado Springs. He has a Brokers real estate license in New York State. 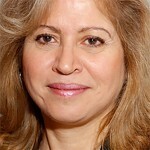 Ms. Aslanian is Senior Vice President of Aslanian Market Research at Education Dynamics. 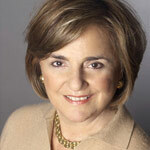 Until 2009, she was President of Aslanian Group and, for more than 20 years, she served as Director of the Office of Adult Learning Services at the College Board in New York. She was also the College Board’s Director of the Office of Community College Relations. 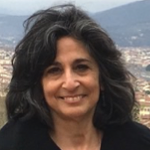 Ms. Aslanian is a national authority on the characteristics of learning patterns of post-traditional students, and has co-authored two landmark reports that describe the causes and timing of adult learning. 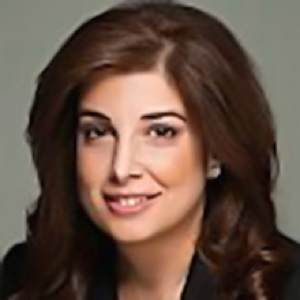 Ms. Aslanian is a member of the Cornell University Council, a Central Board Member of the Armenian General Benevolent Union, and serves on the Board of Trustees member of the American University of Armenia. Ms. Bogosian Quigley comes from a career working as a consultant, primarily in London, England, for Harbridge Consulting Group and The Design Museum where she researched and developed marketing and business plans to improve organization effectiveness. Most recently, Ms. Bogosian Quigley served as a trustee for the Board of Education in the Briarcliff Manor Union Free School District. There, she oversaw management and curriculum decisions as well as the development and implementation of a $53 million budget for 1,750 K-12 students. 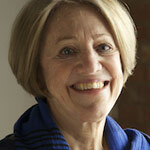 Ms. Bogosian Quigley has also served on the board of the Cyrus M. Quigley Foundation since its inception in 1993. Ms. Bogosian Quigley graduated with honors from Brown University, where she earned her BA in English Literature. She subsequently attended Columbia University School of Law where she earned her JD, and most recently New York University, where she earned a certificate in film producing. In her personal time Ms. Bogosian Quigley, who is a second-generation Armenian, enjoys music, reading, skiing, and traveling with family and friends. Randa El-Sayed Haffar is a Managing Director and Senior Private Banker serving Gulf Private Banking clients, mostly in Kuwait. Ms. Haffar manages the relationships of high net worth families, corporations, and institutions while based in New York, USA. She joined Citi in 2000 as an Associate Banker and became a Banker in 2004. There, she was awarded the prestigious Chairman Council award 15 times and the Hall of Fame Award in 2012. Prior to joining Citi, she was at Chase Manhattan Bank as a Global Business Development Officer for International Personal Banking. Her prior banking career was with Coutts Bank (Switzerland) and The Bank of New York. Ms. Haffar holds a bachelor’s degree in Public Administration and Political Science from American University of Beirut (AUB), Lebanon and a master’s degree in Public Finance and Financial Management from New York University. Ms. Hafar is a member of the Board of Trustees of AUB and an Executive Board Member of the Elmer and Mamdouha Bobst Charitable Foundation, which focuses on health and education philanthropy. Ms. Eraiba is a Senior Vice President of the Trust Company of the West (TCW), which manages a broad range of value-added investment products for many of the largest corporate and public pension plans, financial institutions, endowments, and foundations in the U.S., as well as a substantial number of foreign investors. She has over 30 years of experience specializing in technology and healthcare, having been involved in a wide range of transactions for both money management and investment banking for technology companies. Before joining TCW, she founded Rosetta Group Research LLC, an independent technology research and advisory firm catering to the investment management industry. Ms. Eraiba began her Wall Street career with Lehman Brothers and then worked at Salomon Brothers before founding Advanced Technology Investments. Prior to joining the financial community, she worked as a chief engineer in the technology industry. She is a member of the Board of Directors of the Arab Bankers Association of North America (ABANA) and Board Chairperson of iEARN-USA, the largest worldwide network of students, teachers, and schools. Born in Egypt, Ms. Eraiba received an engineering degree (B.S.E.E.) in electronics and computer science from Washington University and an M.B.A. from Columbia University. Mr. Habib is Co-Founder and Managing Partner of Intercontinental Aircraft Group LLC (IAG), a global aircraft acquisition consulting and brokerage firm. Prior to co-founding IAG in 2012, Mr. Habib spent 17 years at a leading corporate aircraft manufacturer, where he held various positions of leadership, lastly as a Senior Vice President and corporate officer. Mr. Habib’s operational aviation experience includes eight years of active duty service as an officer in the U.S. Marine Corps and Navy where he was designated as a naval aviator- he flew duties as a pilot with Southwest Airlines Co., and spent time as a demonstration pilot for an aircraft manufacturer. He holds an FAA Airline Transport Pilot (ATP) license and numerous aircraft type ratings. 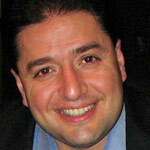 Mr. Habib is a graduate of Rutgers University where he earned a Bachelor of Arts degree in political science. 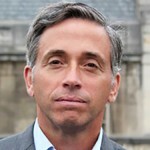 Dr. Jacobs has been involved with development work in the Middle East for 30 years as a scholar, business executive and nonprofit administrator. She has served on the boards of several nonprofits as well as a Fortune 500 engineering company, worked in the private sector with the East-West Group, founded a small consulting firm, and previously served as NEF’s Chief Development Officer and President. Dr. Jacobs holds a Ph.D. in Near Eastern archaeology. She is the author of Digging In: An American Archaeologist Uncovers the Real Iran. Currently, Dr. Jacobs is writing a social geography of the nineteenth century Syrian Colony in New York City. 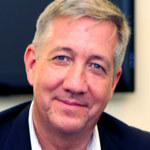 Dr. Jacobs also serves on the Board of Trustees of the American University of Beirut. Mr. Mardirossian has been a member of the Board of Directors of the Near East Foundation since 2002, was NEF's Board Chair from 2007 to 2015, and now continues to serve as Chairman Emeritus. 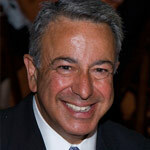 He is a Partner and the Chief Operating Officer of Kohlberg & Company, a middle-market private-equity firm, and serves on the board of directors for several companies controlled by Kohlberg & Co. Mr. Mardirossian was born in Lebanon of Armenian decent and immigrated to the United States with his parents in 1969. He is actively involved in international and Middle Eastern affairs. Mr. Mardirossian received a B.B.A. and an M.B.A. from the Lubin School of Business at Pace University. He is also a Certified Public Accountant. 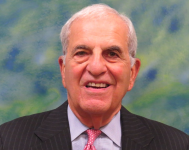 Mr. Solomon is a retired Vice Chairman of Marsh Inc., a global insurance broker and risk management firm. 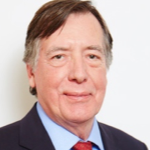 He joined Marsh as Managing Director of Marsh & McLennan Italia in 1974, later becoming Marsh’s Area Head for the Far East, Africa, the Middle East and Latin America. Subsequently he became head of Marsh’s International Risk Management Division, and was later appointed to head Marsh’s International Specialty Operations. A graduate of Juniata College, Mr. Solomon also attended the American Institute for Foreign Trade (Thunderbird School) and the Advanced Management Program at Harvard Business School. Dr. Benjamin has over twenty-five years of experience in international development, with extensive experience in community development and natural resources management though the Middle East and Africa. He began his affiliation with the Near East Foundation in 1993 as Country Director in Morocco. Before joining NEF he spent several years in Morocco as a Fulbright Scholar and as a Peace Corps Volunteer. After leaving Morocco, Dr. Benjamin was Senior Manager for a large international development consulting firm based in Washington DC and a Professor of International Environment Issues and Development at Williams College in Williamstown (MA). Dr. Benjamin became NEF’s President in 2010. Under Dr. Benjamin’s leadership, NEF has seen steady growth. Dr. Benjamin holds a PhD from the University of Michigan with a focus on decentralization and local institutional development in West Africa. He is a published author in the areas of natural resource management and policy.